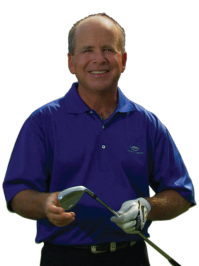 Hollywood Beach Golf Resort in Hollywood, Florida is home to the McCumber Golf Academy and JMc Coaching where 10-Time PGA TOUR Champion Mark McCumber and Josh McCumber share what each has learned in over 35 years of professional golf. The one thing great players have in common is a repeatable pre-shot routine. We want to help golf students by teaching a great pre-shot routine, as I learned it from Bert Yancey, one of the best students of the game in regards to pre-shot routines. With his help, I won 10 times on the PGA TOUR, won the World Cup and played on a Ryder Cup team. Think of this as a wonderful opportunity to share some of the insights I learned over 35 years of professional golf, as well as the process of how players get better. The pre-shot routine helps us get the most out of our game, and the one thing common to all great players is a pre-shot routine and setups. We want to start you off right in using Impact Master as part of your pre-shot routine. Please download the routine below to support your game. From our years of play and teaching students from around the world, we would like to share some of our experiences with you often. Follow us on Twitter and “Like” us on Facebook to follow and download our best training programs and those of our friends to improve your game no matter where in the world you play.